As adults, many of us have moved on from lunchmeat as part of our diet. We may have tired of the same sandwiches through years of school lunches or may not realize how many options we really have. There are many ways, however, to bring a new dynamic to lunchmeat sandwiches to help you rediscover their joy. All it takes is shopping for some supplies to stock your Vallejo apartment and the willingness to experiment. 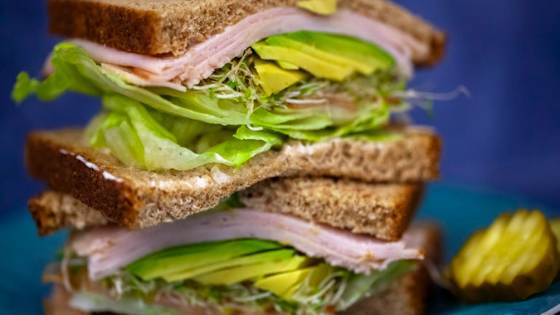 Here are some ways to bring lunchmeat sandwich joy back into your adult life. Sure, plain white bread sandwiches can be a bit boring, so try some new types of bread or buns. Potato buns, for example, are soft and slightly sweet. Try dark rye bread or a healthier wheat loaf. Many grocers have a wide selection of baked-daily breads like French bread and Cuban bread. Build lunchmeat sandwiches using a richer and deeper flavor of meats. Rather than plain bologna, try garlic bologna. Use hard salami instead of Genoa salami. Mix in some smoked ham, turkey, or pepperoni. Try upgrading to better-quality deli-sliced meats instead of pre-packaged brands. Stop settling for standard mustard or mayo. Use a vinegar and oil mix, try horseradish for a change, or go for a spicy hot or honey mustard. Make a visit to the condiment section of your local grocer and choose a few flavors that may add some heat, smokiness, or sweetness to your sandwiches. If you are used to American slices on your sandwich, try a few of the other popular cheeses. Provolone, Swiss, Colby, cheddar, or pepper jack are terrific sandwich cheese choices. Consider going beyond lettuce and tomato and slice up some onion, thin cucumber slices, pepperoncini, and other sandwich toppings with more exotic flavors. Experiment and make sandwiches with flavors and textures you enjoy the most. Have a gathering at your home or apartment in Vallejo and create a sandwich smorgasbord. Your friends may discover some new flavors as well. They may also enjoy learning about apartment living in Vallejo, CA at Bay Village.